UJVNL recruitment 2016-17 notification 02 post: UJVN Limited (UJVNL) is a wholly owned undertaking of the Government of Uttarakhand and professionally run power development and generation utility. The UJVNL is a self sustaining Utility and promises to be one amongst leading power companies of India. Qualification:- The candidate should have a Post Graduate Degree/Diploma in HR/Industrial Relations and Personnel Management/Social Work/Business Administration with HR specialization from a recognized Institute/University with 15 years experience in relevant. Qualification:- Degree or equivalent qualification from a Recognized University and P.G Degree/Diploma in I.R & Personnel Management or Social Work or Human Resource Management or Masters in Business Administration (M.B.A) (with specialization in personnel /H.R) from an Institution duly recognized by Central or State Government with 3 years experience in relevant. Application Fee:- An account payee Demand Draft of Rs. 250 for SC candidates of Uttarakhand) drawn in favour of “UJVN Limited” payable at Dehradun is to be submitted along with application form. No fee is payable for the post of Dy. General Manager (IR). How to apply offline for UJVNL exam 2017:- The interested candidates are required to refer detailed advertisement and download the application form from the website www.ujvnl.com and send duly filled in application along with requisite Application fee & self-attested copies of Certificates related to age, educational qualifications, category, sub-category, experience send to General Manager (P&IR) UJVN Limited, Yamuna Bhawan,Yamuna Colony, Dehradun-248001 and other related testimonials in a sealed envelope marked as “Application for the post of ………………………… by Speed Post/Registered Post to the following address so as to reach us latest by 05.12.2016. 1- Reservation will be applicable as per Government of Uttarakhand Rules. Accordingly, candidates seeking such reservation must submit their certificate of such reservation i.e. Caste, domicile, etc as applicable to them issued by the Competent authority of State of Uttarakhand. Departmental Candidates (working in UJVN Ltd) of such category having requisite qualifications and 3 years experience in the pay scale of Rs. 5200-20200, G.P. 2600 or above may also apply for the post at S.N.2 i.e. Personnel Officer. 2- There will be no age limit for departmental candidates. 3- Hands-on working experience in a computerized environment is essential. 4- The candidate must possess fair knowledge of usages of speaking and writing of Hindi and English Languages. 5- Other things being equal, preference will be given to persons having experience of working in Uttarakhand. 6- The candidates serving in Central/State Government Deptt./Public Sector Undertaking are required to submit their application through proper channel or produce NOC at the time of interview, which will also incorporate that there is no vigilance/disciplinary case pending or under contemplation against the individual. 7- UJVNL will not be responsible for applications lost in transit. No correspondence/ enquiry in this regard will be entertained. 8- Applications found incomplete in any respect or without self attested copies of relevant certificates shall be summarily rejected. 9- Any lobbying/canvassing would disqualify the candidates. 10- Mere fulfilling the job specifications shall not entitle a candidate for being called for interview. 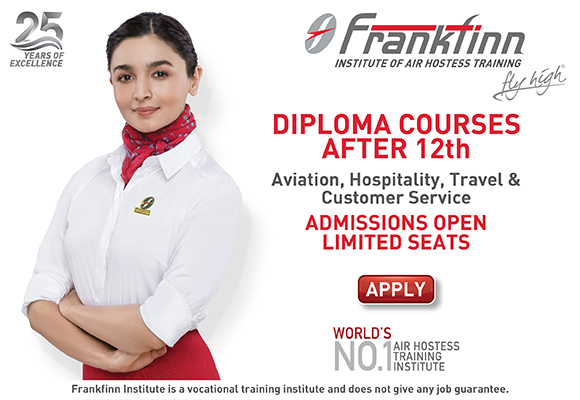 11- Any legal proceeding in respect of any matter of claim or dispute arising out of this advertisement and/or an application in response thereto can be instituted only in Dehradun and the Courts/Tribunal/Forum at Dehradun only shall have the sole and exclusive jurisdiction to try such cause/dispute. 12- The UJVN Limited, reserves the right to cancel/amend the above advertisement at any time without assigning any reason. 14- Information related to list of eligible candidates, written test, Interview, Test Centers, Date of test/Interview etc will also be uploaded on UJVNL’S Website from time to time. The candidates can refer such information at the website from time to time.